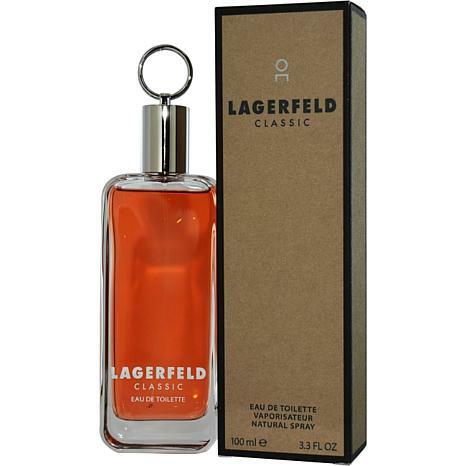 Launched by the design house of Karl Lagerfeld in 1978, Lagerfeld EDT Spray 3.3 oz is a mens fragrance that possesses a blend of Green notes, Tarragon, Clary sage, Bergamot, Sandalwood Lagerfeld is recommended for evening use. This item may not ship to Alaska, Guam, Hawaii, Puerto Rico, or the Virgin Islands using a ground shipping method. Please select an air method when ordering this item for those locations. All Orders must also have a physical address and not a P.O. Box. Purchased, as a Gift!! Recipient Loved it!! Would Highly recommend to Friends, and Family!! I love this cologne. Unique and not too strong but good enough. This was a gift for my husband. This is his favorite fragrance, it smells so good and it is not too strong. When he's happy --- I'm happy. My husband doesnt like strong sents, and this has been a favorite of his for years. I like it too on him.